31 people have viewed this property this week. 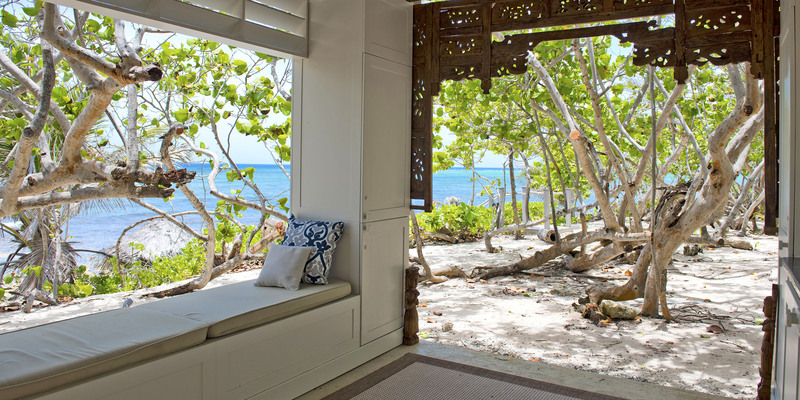 Sea Orchard Retreat offers individuals, couples, families and small groups the opportunity to combine a relaxing Caribbean vacation with watersports, eco-excursions, and wellness treatments from private vendors for massage, yoga and more! 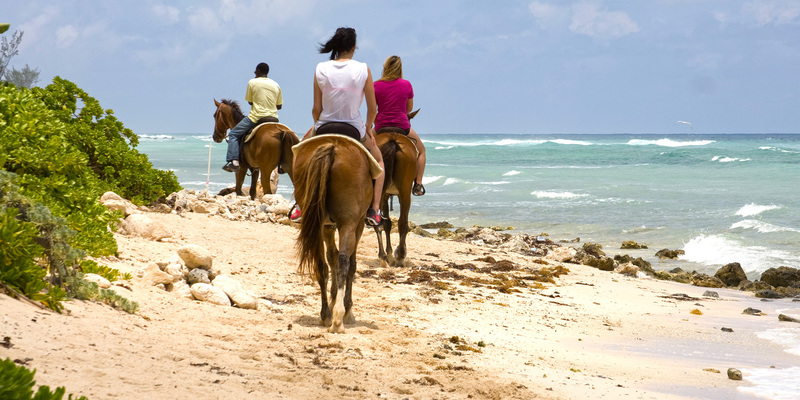 We maintain a complete list of preferred vendors for many activities, excursions and wellness services. 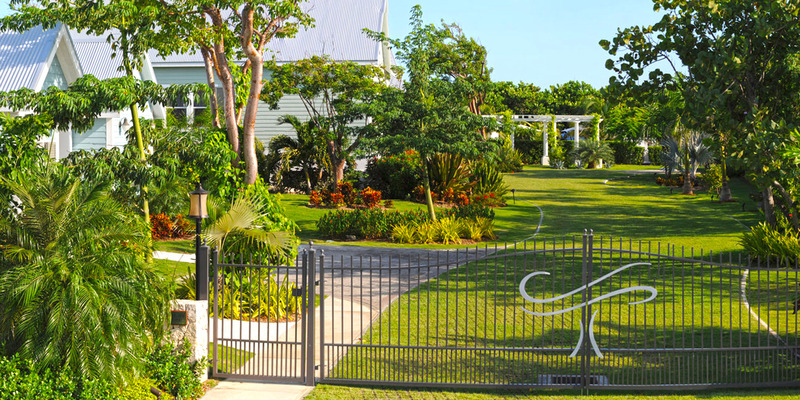 We are a gated boutique oceanfront collection of finely decorated cottages on the quiet northern coast of Grand Cayman, located only 10-15 minutes from the watersports, golfing, dining and leisure attractions of Seven Mile Beach. 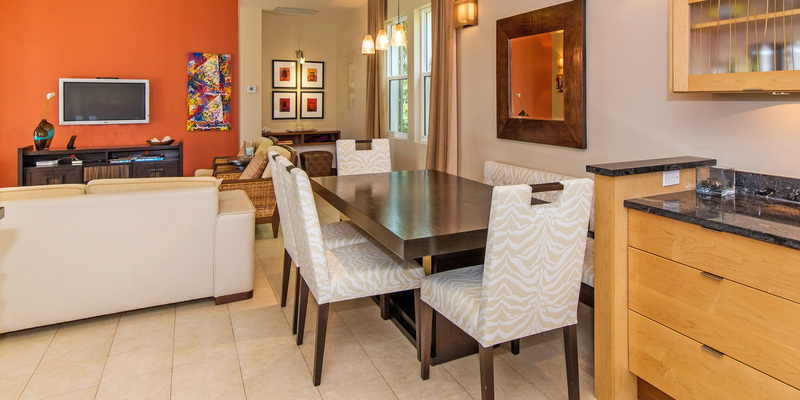 The shops of George Town & Camana Bay are also only a short drive away. 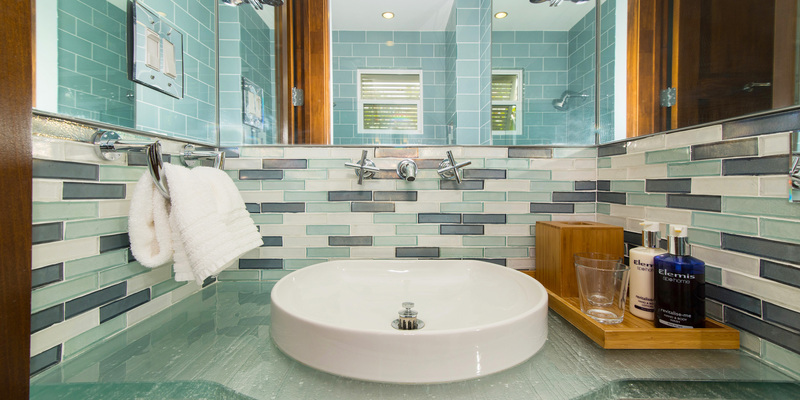 Sea Orchard Retreat offers four private two bedroom & two bathroom cottages, with a large resort pool with heated spa, gym, studio, cabanas and hammocks. Our managers offer you an airport greeting with transportation, or they can help arrange a rental car should you desire. 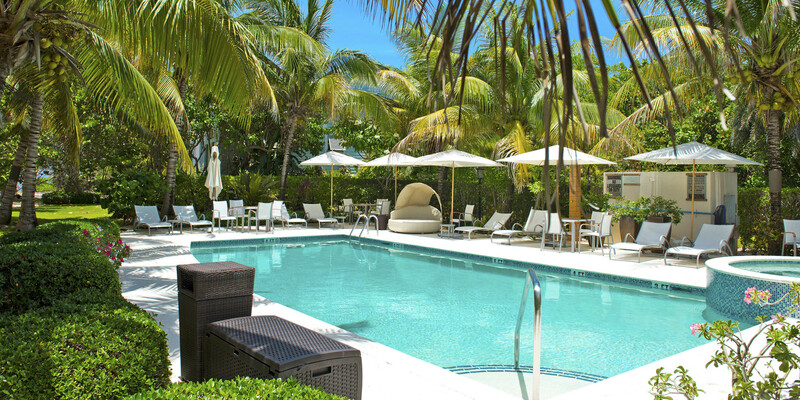 Papagallo Restaurant is within walking distance and the new Kimpton Seafire Resort & Spa is only 10 minutes by car. 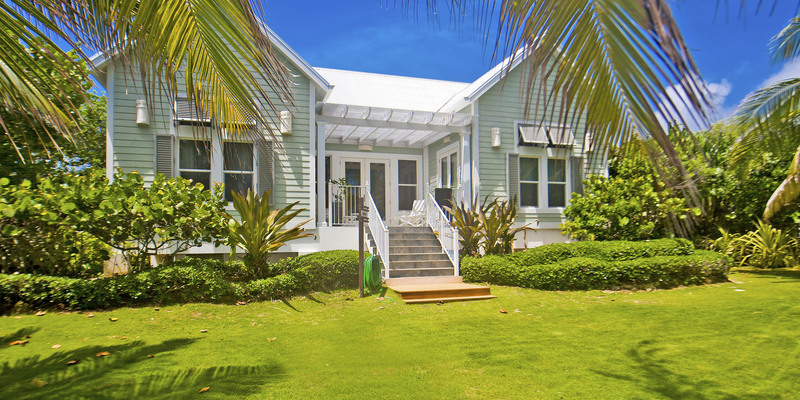 We are also only a 5 minute walk from Barkers Beach, an oceanfront nature conservancy where nesting turtles, birds, and other fauna are all protected and kiteboarding is popular. 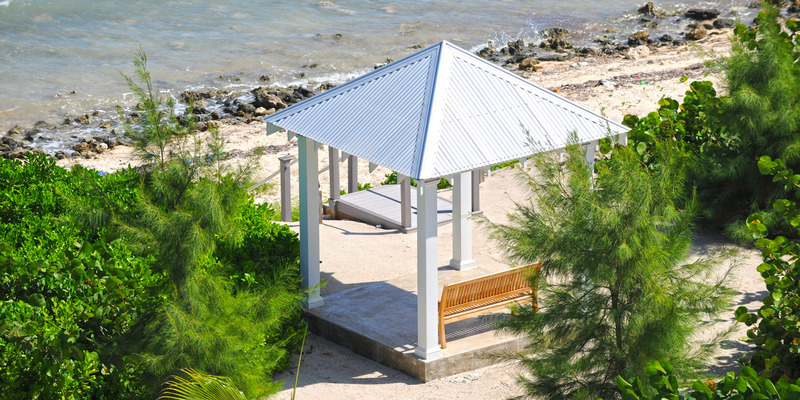 Sea Orchard is also a popular venue for destination weddings, counseling groups, spiritual retreats, yoga retreats, and small informal gatherings. 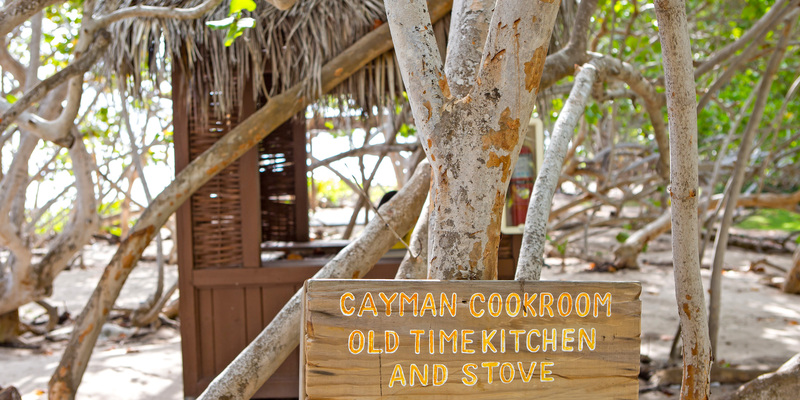 We aim to accommodate our guests' needs! 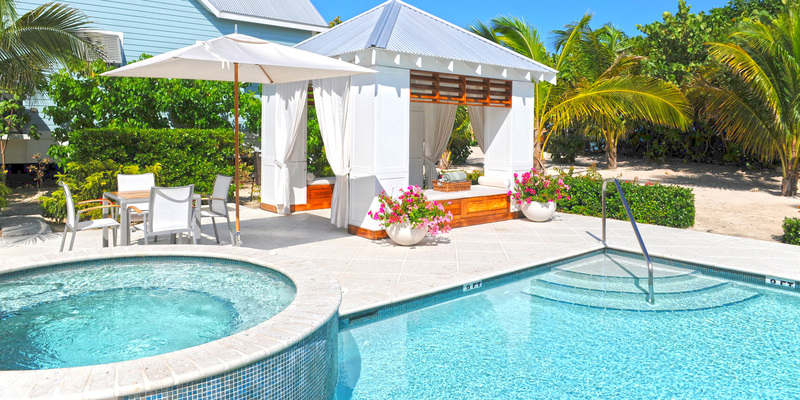 Destination weddings require full rental of at least 2 cottages, plus an event fee and a refundable security deposit. Email us directly for full details. The resort usually requires a 3 night minimum stay, however, during low season the owner may consider shorter "staycation" bookings. Please inquire for further details. 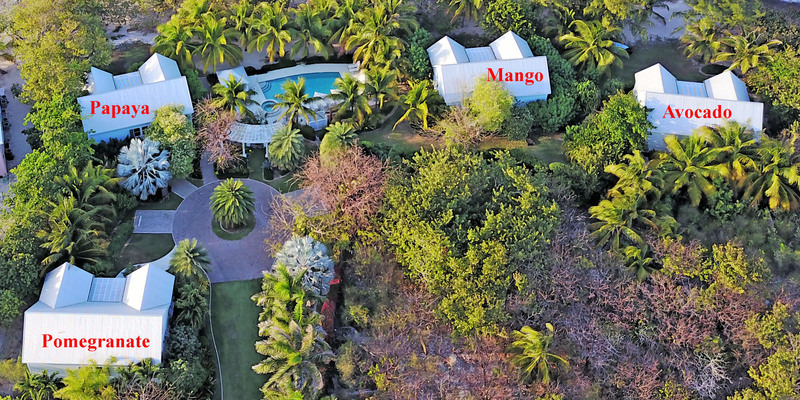 The entire property can sleep a maximum of 22 guests, 17 of whom may be "Adults" (18 yrs or older) due to CI Dept of Tourism Licensing. 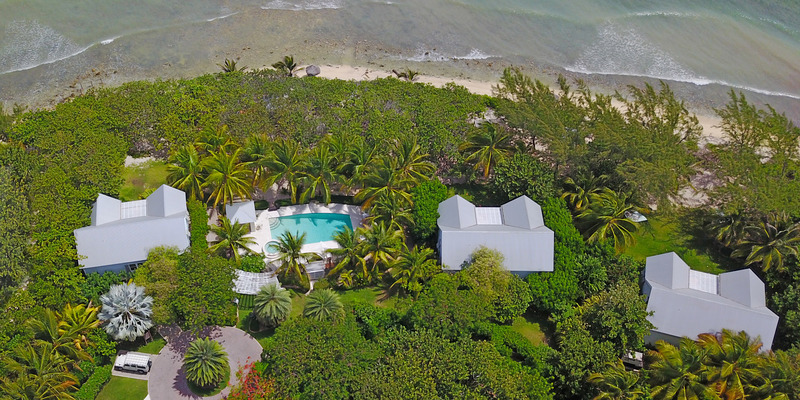 The property boasts 400 feet of natural shoreline and while it has a sandy beach that is raked periodically, our beach is on a reef-protected marine park and enjoys a vibrant snorkeling and kayaking experience. 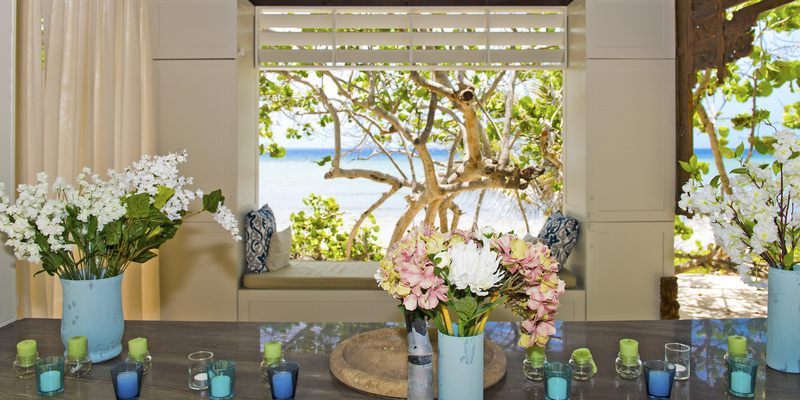 It is not a barefoot swimming beach and we offer guests both snorkeling equipment and complimentary water shoes. 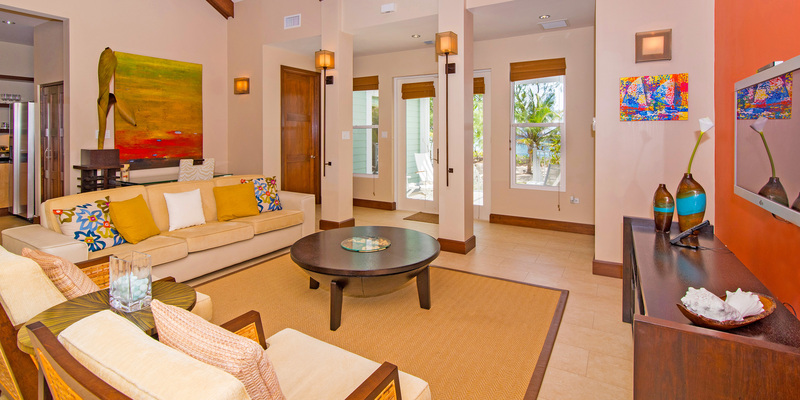 4 Private Cottages, each with 2 bedroom suites, full kitchen, dining area, living area and porch. 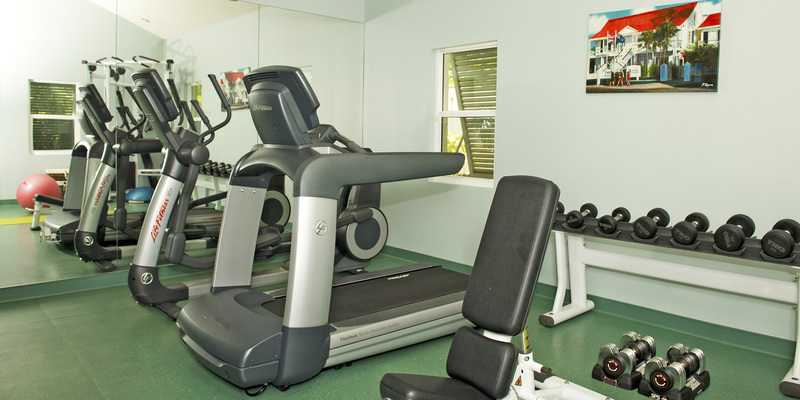 Fitness center, large pool with heated spa, umbrellas and chaise loungers, tables and chairs. Ceremony arbor, multiple cabanas, hammocks and amenities. 22 Guests maximum (17 guests can be 18 yrs or older). The resort also offers two dining tables that fit 12 people if you're group is in separate cottages but still wants to have a meal together. Manager can arrange airport transfers as well as other guest services...chefs, cooks, masseuse, yoga, music, couples counseling, weddings, vow renewals and corporate events. 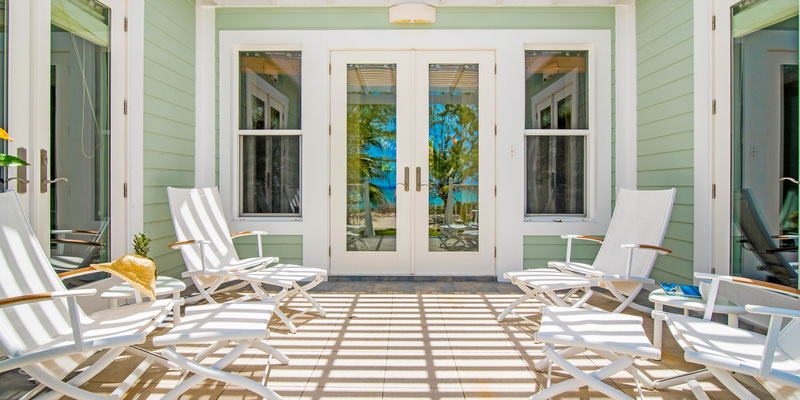 Each floor plan opens to the sea with a pergola over the front porch that provides an elevated private outdoor lounging space for guests. 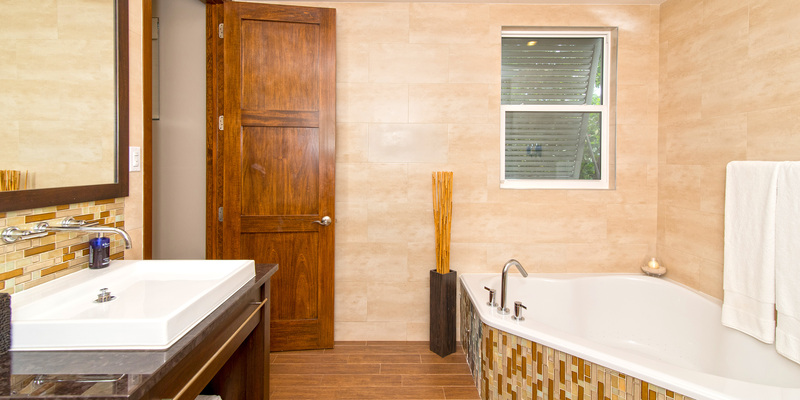 The two en-suite bedrooms are in separate wings of the cottage for maximum privacy and offer direct access to the pergola/porch, as well as ocean-facing windows. A roll-away is available for each cottage. 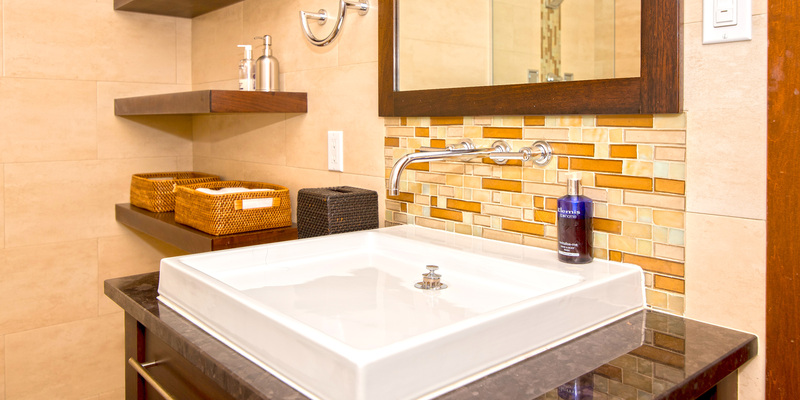 Two cottages offer a king and queen suite and the other two offer a king and twin suites. Pomegranate also has a pull out couch. Rollaways and packnplays are provided gratis. 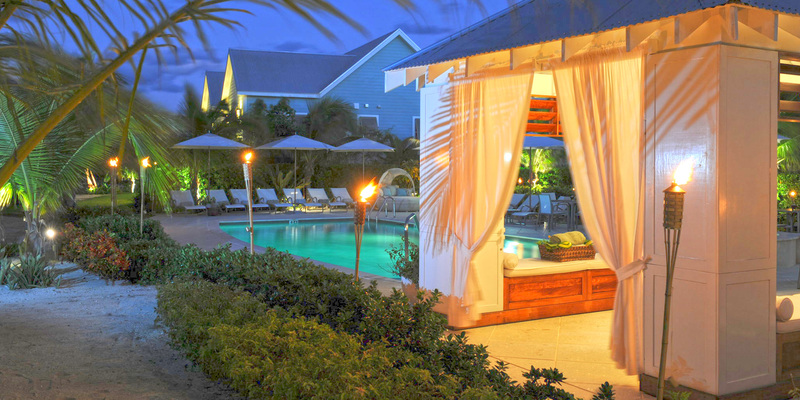 Sea Orchard Retreat is a gated oceanfront boutique resort with 4 well-decorated 2 bed/2 bath villas surrounding an oceanfront pool and heated spa. The natural beach here is sandy, however the shoreline can often be pebbly & rocky as one enters the water to snorkel. Our guests will use our kayaks to access the shallow snorkeling reef and coral heads. 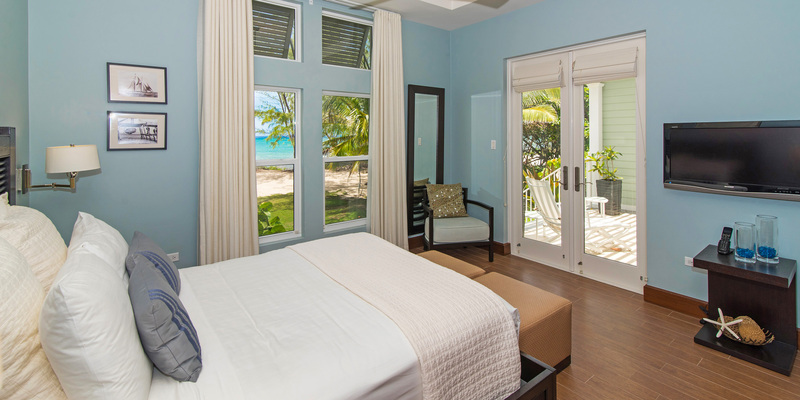 Sea Orchard Retreat is less than 10 minutes from the barefoot swimming on Seven Mile Beach as well as all the restaurants, resorts and watersports offered. Rollaway bed provided for 5th guest age 12 or younger. Infants (2 yrs or younger) do not count against occupancy. Pack n Plays are provided at no additional charge. Must be 21 years or older to book and must occupy the cottage during the entire rental period. 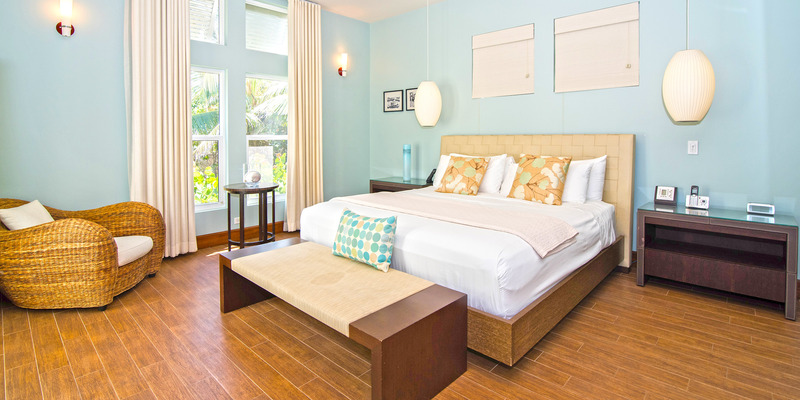 Total Max # guests = 22, however 17 adults maximum per CI Tourism License. Small weddings welcomed! 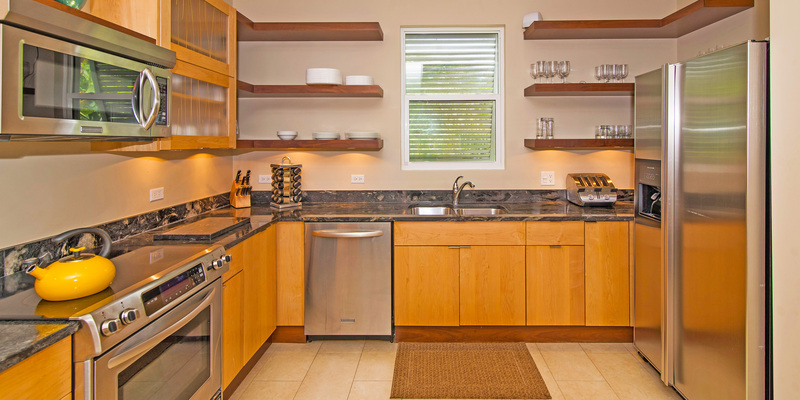 Requires rental of all four cottages, plus an event fee and refundable security deposit. Email us directly for full details.